Bubble Jewelry - This is a handcrafted pair of Sterling Silver post earrings that frame natural Ammonite Fossils (14mm x 10mm) from Morocco. These eye catching ear adornments sit on the ear and we can create them with clips for our non-pierced customers. From our "Bubble" Collection, this is a handcrafted pair of Sterling Silver earrings created from round sterling silver tubes soldered around fully encased in sterling silver Ammonite Fossils. These earrings are posts so they sit on the ear. These natural fossil earrings are the final touch to complete any outfit. These earrings make a statement on their own or with a necklace and complement our other designs. These earrings measure approximately 2" long x 1" wide. 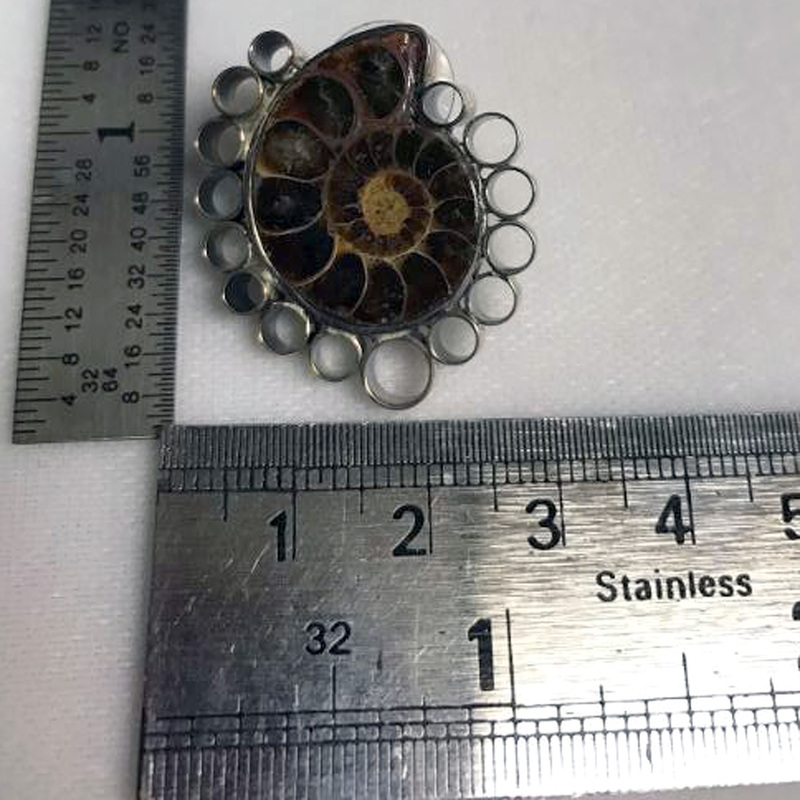 The Ammonite Fossils are approximately .57" long x .4" wide (14mm x 10mm). 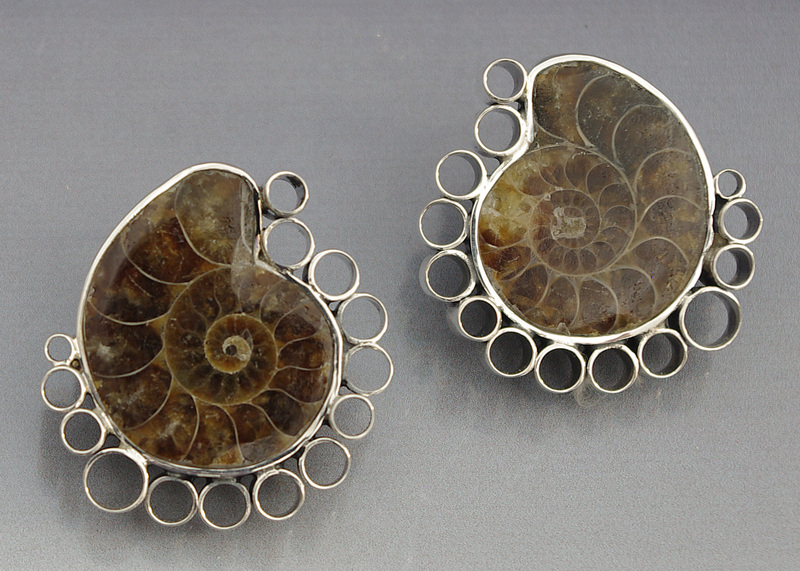 Ammonite, also known as Ammonoid, stimulate personal growth and help the wearer transitions from the old to the new. Fossils are used with curing diseases and aliments of the bones, skeletal system, hands and feet. Fossils are also helpful in keeping one grounded, aiding in stability and physically stamina.They have a very calming and soothing energy and relieve stress and provide tranquility, contentment and comfort.